SecretBuilders Builder Logs: Joebar Interviewed Macbeth Today! 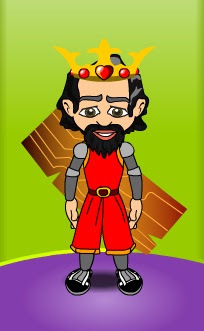 Macbeth was a Scottish nobleman from Shakespeare’s tragedy Macbeth. He is often portrayed as a conflicted man who allows ego to win him over, leading to several unjust acts. Despite his initial description as a heroic and honorable general, the character became a testament to the dangers of human weakness in otherwise great men. Macbeth, also titled the Thane of Glamis and Cawdor, believed a prophecy by three witches that he will become king, and plotted with his wife against Duncan when he stayed at their castle. After he rose to the throne, Macbeth was plagued by constant paranoia and guilt. After that Macbeth went almost totally insane, being haunted by the ghosts of his enemies. Most of the nobility defected from the crazed king, and joined the rebellion of Macduff and King Duncan’s son, Malcolm. Shakespeare’s popular character is unique in that he was clearly villainous, but yet maintained an active and tormented conscience. The audience was definitely interested in learning about him. Next week's guest also has curious stories to share, so save the date and be there!